The ideal way to replace a missing tooth is with an implant. This is the most predictable and durable and natural feeling prosthetic restoration available. It's so much easier for you than a description would convey! A titanium (the material used in artificial hips, for instance) "root substitute" is placed into your jaw bone. After a number of months of attaching/healing/integration, then I come along and connect a custom made tooth support, onto which a crown is placed. By the way, during this time you go comfortably about your everyday life, unaware of your body's amazing ongoing ability to "cooperate" in this miracle. This results in a highly predictable long term result without involving adjacent teeth. Best for your mouth's entire local environment. 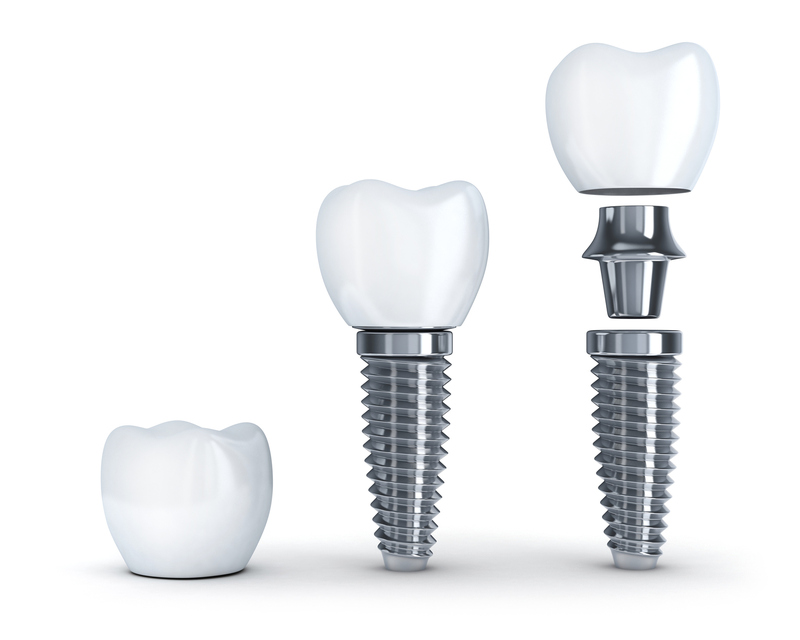 Advanced Dental Care offers dental implants, as well as many other services at our Providence, Rhode Island ( RI ) office. Request a consultation today by either filling out our request form, or by calling our office at (401) 273-6780.